A man was walking down a deserted beach at sunrise. As he walked along, he began to see another man in the distance. 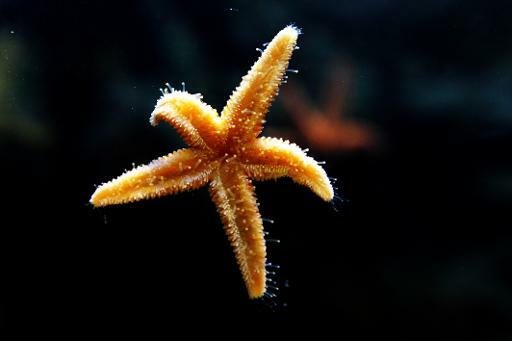 As he grew nearer, he noticed that the man was picking up starfish that had been washed up on the beach and, one at a time, he was throwing them back in the water. Intrigued, he walked over to him and asked the man why he was doing this. It's an enduring misconception that a difference of any real significance cannot be manifested unless it is implemented on a large scale. A mere glimpse through the daily news provides plenty of evidence that we are living in a world of rampant injustice, greed, corruption and cruelty. So hopeless does it seem that trying to do anything to make things better would be comparable to dropping a pebble into the Grand Canyon, in an attempt to begin to fill it up. Although most people would like to live in a better world, the disproportionate weight of the task before them is powerful enough to stop the majority from trying to do anything at all. Besides, how could one person ever really make a difference anyway? Making a difference begins in the mind. Letting go of the belief that small efforts are not enough to make a difference in this harsh world is the beginning of real and effective change. It is not the magnitude of the change as we perceive it that matters, it is the difference it makes to the one who benefits from our efforts. When put in this context there is no end to what we can achieve. Change comes when one begins to see that there are a multitude of ways to make a difference that are fulfilling, validating and absolutely not a waste of one's time and energy. The recipe for success is not to expect to see a global difference, but a local difference. Knowing that something or someone has directly benefitted from an effort one has altruistically made for the betterment of everyone is incredibly motivating. On a grander scale, perhaps one's efforts won't be immediately obvious, such as when one decides to cut out processed foods from their shopping, but if you choose to do so then every time you see a new organic company start up, you can congratulate yourself that you were indirectly a part of that change. If you had done nothing and continued eating processed food would they have started that business? Who knows, but one thing is certain, you wanted better quality food, and you are now getting it. You made a difference, both to others and to yourself. For some efforts, the difference can be appreciated immediately. An easy way to prepare for greater challenges that may take more time to manifest - such as changing the way we consume - might be seeing a need in one's back yard or balcony and making an effort to fulfill it. Feeding birds; leaving out water for wild animals during times of drought; keeping flowers in window boxes for the bees, or growing one's own garden - all of these activities are extremely satisfying in and of themselves. And with these acts, you are making a difference to hungry birds; to thirsty animals; to nectar-starved bees and to yourself by seeing the difference you are making everyday in their lives. There is a lot of bad in the world, many things we cannot directly change, but we can change the small things, making our lives and the lives of those around us better. We can bring good into the world, and while we stare into the face of all the bad, we need to be resolute in our belief that our efforts are slowly shifting the balance of the scales away from it towards the good. You will make a difference by your efforts. They will not go to waste. And the silent gratitude of thousands will continue to resonate after you, long after you have forgotten your deeds.